Edgars Club is offering members a brand new, exciting benefit in partnership with Nu Metro Gaming. If you’re a fan of gaming like we are, then this exciting new benefit will pique your interest. Keep reading and prepare to get your game on! Nu Metro Gaming and Edgars Club are offering members incredible savings on all the gaming your heart desires. 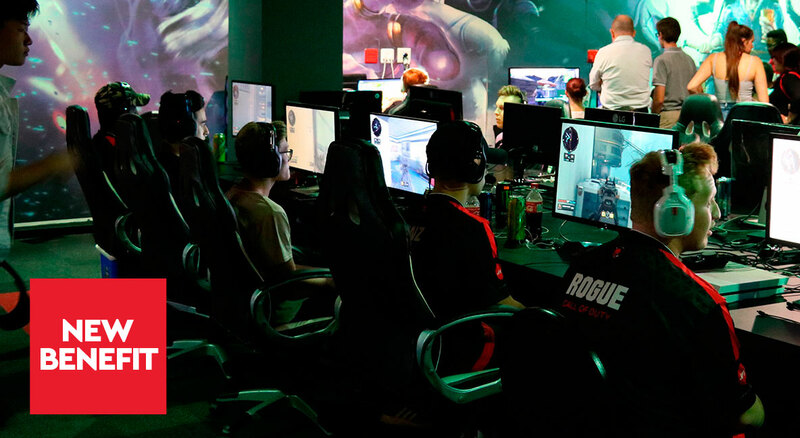 Nu Metro Gaming is an exciting new-generation gaming organisation, providing a unique offering to fans of gaming, including elegant gaming lounges, a range of tournament and event structures, as well as relevant gaming content and e-commerce solutions. Its flagship gaming lounge is conveniently located at Emperors Palace, next to O.R. Tambo International Airport. The good news is that joining this unique world of gaming just got a whole lot more affordable for Edgars Club members; entry is from as little as R45, usually R60, meaning you save of 25% on Game Time and/or your monthly subscription cost. What’s more, Edgars Club members and a guest of their choice will get three hours free Game Time on their birthday, or the weekend closest to it. Whether it’s your kids, your sister, brother, uncle, or even granddad who is a fan of gaming, this new benefit is too good to be missed. For more information click here. Ts and Cs apply.